My wife loves pecans. Lucky for me, we have a pecan tree in the front yard that produces a log of pecans. This year was 97 pounds of pecans. So, I was sitting around watching football, playing with my new grandbaby, and looking at this years Christmas gifts. I started thinking about how the simple gifts really are the best. Especially those that are homemade and come from the heart. So I decided to make something with pecans for her. I looked a a few recipes and didn't see anything that I really liked so decided I would make one up myself using stuff we both like. 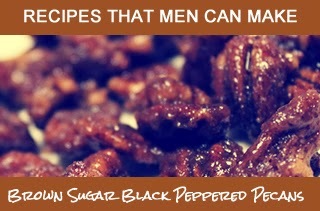 So that's how I wound up with Brown Sugar Black Pepper Candied Pecans this Christmas Day.